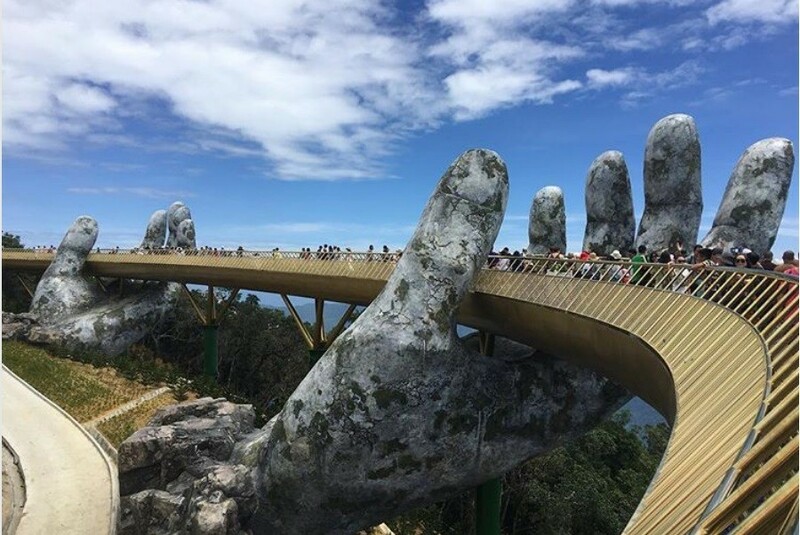 An incredible new “handheld” bridge in Vietnam has become the country’s newest tourist attraction – and the internet’s latest obsession – after it opened earlier this summer. Cau Vang took a year to erect, and is surrounded by a French Village replica (a nod to 20th century French colonizers who vacationed in the area) and a 5.8km-long cable car which was once the longest and highest in the world. The designer of the bridge Vu Viet Anh said he is already in the process of working on a connecting bridge that will resemble a strand of God’s hair.